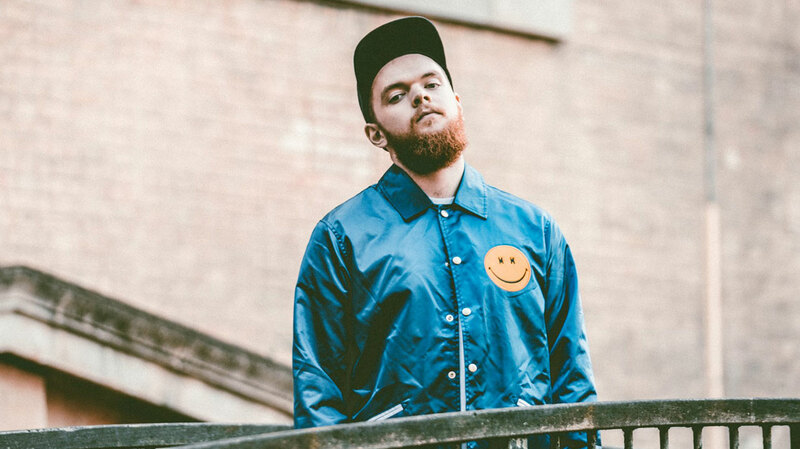 Following in the footsteps of big names like James Bay, Sam Smith and Adele, Jack Garratt has just been awarded the prestigious Brits Critics' Choice prize for 2016. We caught up with the Buckinghamshire-born multi-instrumentalist to hear how he’s coping with the hype surrounding him, and to find out more about his forthcoming debut album, Phase. Congratulations on your BBC Sound of 2016 nomination and your BRIT Award win! How are you talking all of this success? Words have kind-of escaped me, for the first time in my entire life. People who know me know that I like to talk quite a lot, and this is the first time I’ve ever found it difficult to express how I’m feeling. How have your family and friends’ reactions been? The reaction’s been incredible. It used to be that I’d have to call up my Nanna or my aunties and uncles and tell them about the good news, but now they keep getting in touch with me because the good news seems to be happening on radio and in the newspapers. Yeah, it’s very strange. I’ve been inundated with lovely messages from all my friends and family. My feet are still on the ground; I’m not flying yet! It sounds like you’re humbled. Exactly. It’s very much a huge thing, but it’s also kind-of not a thing because I can’t quite comprehend it or understand it. But I’m so thrilled to have even been nominated, let alone to have won the award. Awards are a very strange thing for a musician to receive – or at least I think they can be quite weird – because if you take them as more than what they are, then that can be dangerous. That said, awards are lovely compliments and incredible things to receive, and I’ve only just started to receive them so I’m blown away and bowled over by all of it. It’s a lovely nod to see that the critics have decided to give me something, and I take it with open arms and with such great thanks, and it sets me up to be in a really good place for next year. I’ve been aware of previous winners, and it’s quite an esteemed group of people. James Bay won in 2015. Yes, of course. This year’s been pretty good for him! I mean, Sam Smith is a global superstar, Adele is a global superstar, Jessie J is one of the first people who won it, and she’s a global superstar... These people have gone on and done incredible things, and it’s humbling to be a part of that, and again I don’t want to think too much about the pressure that could build, or the expectation. Instead, I just want to be able to take this year as what it is going to be, and make it mine, and really work hard at it. My feet are still on the ground; I’m not flying yet! You say you’re mates with James Bay: has he been in touch to congratulate you? I haven’t heard from James yet. I think he’s in America touring, so a good few hours behind. But I’ll be meeting up with him soon, I’m sure, to talk about everything and just to ask him how he coped with it. Are you ready for the level of exposure you’re going to get? I don’t think I am, to be honest. When the nomination came through, I was still sitting there like, “Ok, great, this is amazing, but I’m going on tour in a couple of days so I’m not really thinking about this right now.” And now that I’ve won it – and suddenly I’m doing a lot more interviews and people are getting in touch – I’m slowing coming to realise that I may have entered a world I was not prepared for whatsoever. But I’d better get prepared for it very quickly because it’s not going to wait for me! For the benefit of anyone not familiar with your music yet, how would you describe your sound? I try not to say what I think my music sounds like, only because people find it hard to, and I think that’s a really good thing. It shouldn’t be as easy as just saying, “This is just electronic,” because electronic music encompasses so many different genres and styles. The thing I like to concentrate on – rather than labelling – is just making music, creating things that make me happy, or that make me screw my face up because, I don’t know, a particular bass sound is so intense or something. Because of that, I try and make my music sound as fun as possible, but also it’s different and challenging, but only with respect for the people who listen to it. I never want to alienate my audience, but I tend to not give a specific genre. Your debut album is due in 2016. Can you tell us a bit about it, please? The album is called Phase and it’s out on February 19th. It’s a record I’ve been working on for the better part of two years, just in terms of writing the songs and then arranging and producing them, and then getting them into the final position that they’re currently sitting in. It’s a body of work I’m incredibly proud of, and I’m desperately interested to know what people are going to think about it. I’ve worked so hard on it, so I hope people aren’t disappointed by it; I hope people are excited and invigorated by it. I hope that they get the same sense of fun that I get when I listen to it. It’s a bit crazy and a bit different in the sense that every song of mine is different from other songs of mine. I like to write in different genres and different styles and this album is pretty much that but just 12 times over. So we can expect variety? Yeah, exactly, it’s good fun. There are some darker moments, and some intense and emotional moments in it, but overall the hope is that when those dark and intense and emotional moments happen you are there with it; that the album has taken you into that place and you’re willing to go with it. In the same sense, when it kind-of explodes very suddenly, then you’re willing and ready to explode with it. That’s the point, I think. Judging by their tweets, you’ve already got famous fans in Katy Perry and Sia. Do you use social media to interact with fans too? Yeah I try to. I think it’s a blessing to have; to be able to instantly have a communication with the people that essentially employ you. I don’t make music unless people want to listen to it and my purpose is decreased rapidly if my audience suddenly decide to not enjoy what I do anymore. So, because of that, I like to know what they think about the music I’m putting out, and I like to be able to respond and talk to them. At the end of the day, I’m a person like everyone else is, and Twitter wasn’t created for celebrities to just waffle: it was created for interaction, and ended up getting taken over by influential people. Because of that, I try and use it in the best way I can. It’s a good tool if used correctly. You’ve got famous admirers in Mumford & Sons too, who you toured with this year. Are you mates with them now? Yeah, [they’re] really lovely guys. We did a full month of touring together in America and they invited me back to do their UK tour, so, yeah, I’ve known those guys for a long time. And your first proper headline tour kicks off next year, right? Yes. We’ve done a couple of small runs up-and-down the country and around Europe – doing headline shows – but the one that’s coming up next year, that’s the biggest one so far. It’s the most dates that I’ve done and the biggest venues as well.